Is the AdvoCare ONE/80™ right for everyone? Many people have had success with the AdvoCare ONE/80™. However, there are some products in the system that may not be suitable for every individual. This is why it is very important to check with your healthcare professional before beginning any regimen. An alternative to AdvoCare ONE/80™ could include beginning with ProBiotic Restore™ Ultra, and then sequentially adding an MNS® system, Catalyst™, OmegaPlex®, ThermoPlus®, Carb-Ease® Plus and Spark® as needed. When are the appropriate times during the day to take the Performance Elite line of products for optimum performance? Click here for the Performance Elite timeline. How do the different AdvoCare® Metabolic Nutrition Systems compare? MNS® 3 is a comprehensive system formulated to provide sustained-released energy through the ActoTherm® SR caplet, along with weight management through the BioTherm capsules. * In addition, MNS® 3 provides core nutrition and wellness with the inclusion of Calcium Plus caplets, a CardioQ capsule, and an additional OmegaPlex® softgel capsule. * MNS® 3 contains less than half the amount of caffeine contained in MNS® E and MNS® C.
All three Metabolic Nutrition systems are intended for persons 18 and older. What products should I discontinue taking when I'm using AdvoCare Cleanse? We recommend discontinuing all thermogenic products (MNS® color packets, ThermoPlus™ and AdvoCare Slim®) when using AdvoCare Cleanse. All other AdvoCare® products may be continued but should be taken several hours after consuming AdvoCare®Fiber so that optimal intestinal absorption of nutrients can occur. What is, "meets USP criteria for disintegration" on product literature for AdvoCare® nutritional supplements? The United States Pharmacopeia (USP) is a nongovernmental organization whose mission is to promote public health and benefit practitioners and patients. The core USP initiative is disseminating authoritative, state-of-the-art standards to ensure the quality and consistency of prescription and non-prescription drugs, dietary supplements, veterinary drugs and other healthcare products. USP criteria for disintegration requires that tablets disintegrate within 30 minutes and capsules within 45 minutes under controlled laboratory conditions using specific analytical equipment. Simply placing tablets in a glass of water and observing disintegration is not a legitimate test, and does not correspond to disintegration of tablets in the stomach. Meeting USP criteria for disintegration is a part of the standard manufacturing requirements and procedures for AdvoCare products. While the dietary supplement industry is often referred to in public as unregulated, however this is a misleading and inaccurate belief. The Food and Drug Administration (FDA), as part of the Department of Health and Human Services, and the Federal Trade Commission (FTC) share oversight of dietary supplement manufacturers and their products under a variety of regulations published in the US Code of Federal Regulations. FDA regulates safety, manufacturing, mandatory adverse event reporting, and product information such as labeling, claims, package inserts and accompanying literature of dietary supplements. These regulations are known as the Dietary Supplement Health and Education Act of 1994 (DSHEA) and are codified in the US Code of Federal Regulations. Under these regulations, a dietary supplement manufacturer is responsible for ensuring that a dietary supplement is safe before it is marketed. Manufacturers must make sure that product label information is truthful and not misleading. FDA is responsible for taking action against any unsafe dietary supplement product after it reaches the market including products that use prohibited ingredients. In June 2007 the FDA published comprehensive regulations for current Good Manufacturing Practices (cGMPs) for those who manufacture, package or hold dietary supplement products. cGMPs are strict, detailed procedures used to ensure safety and quality manufacturing processes for products intended for human consumption such as drugs, dietary supplements and food. cGMPs require systems that help prevent product contamination, inconsistency from batch-to-batch, unsanitary manufacturing, errors in product labeling and a great number of other important production processes that can affect human health. If problems do arise, they can be identified, tracked and resolved quickly, through cGMP-mandated documentation for all processes, from production of raw ingredients to distribution of finished product. FTC has primary responsibility for regulating advertising of dietary supplements in forms of media including social media and blogs. As with advertisements for therapeutic drugs, advertisements and personal testimonies for dietary supplements must not make claims without substantiation by scientific evidence and must not be intended to diagnose, treat, cure, or prevent any disease. With the mutual goal of consumer protection, FDA and FTC, in conjunction, ensure combined jurisdiction over these products. Federal agencies in the U.S., Canada and Mexico also coordinate activities with regulatory counterparts around the world. How do I return AdvoCare products? AdvoCare has a total satisfaction guarantee. We believe in our products. 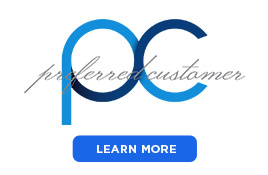 If they did not meet your expectations for any reason, call our Customer Service team at 1-800-542-4800 within 30 days of purchase. We will make it right. This is our promise. At what age may I take AdvoCare® products? Please refer to the AdvoCare Product Age, Pregnancy and Nursing Indications document to see guidelines for product appropriateness. These guidelines are not intended as a substitute for the recommendation of your healthcare professional. Can AdvoCare® tablets be chewed or crushed if someone is unable to swallow them? Those with difficulty swallowing may chew or crush most AdvoCare caplets and tablets. Exceptions include ActoTherm SR, the thermogenic component in the first color packet of the MNS® 3 strip pack, and CraveCheckSR™. Since these caplets are formulated using sustained-release technology, chewing or crushing the caplet interferes with the extended-release mechanism and results in more rapid release of the ingredients. Capsules may be opened and sprinkled on food. How does AdvoCare® ensure the quality of its products, and what quality control procedures are involved? AdvoCare product ingredients are specifically chosen for quality and purity from reputable suppliers that meet AdvoCare’s quality standards. Ingredients used in AdvoCare formulas are selected based on bioavailability and are frequently tested for purity and potency. Herbal extracts are standardized for known active components in order to deliver consistent results. AdvoCare uses highly bioavailable forms of vitamins, minerals, amino acids and other nutrients. The manufacture of AdvoCare products occurs in facilities that adhere to cGMP (current Good Manufacturing Practice) guidelines. Quality control and quality assurance programs are part of the standard operating procedures for each facility. Tablets, capsules, drinks, shakes and bars are all made according to very narrow quality control and uniformity specifications. As a consequence, uniformity is expected and required from tablet to tablet, and from capsule to capsule as well as within each capsule and tablet. Various USP disintegration testing procedures are used for finished products, and these procedures are part of the standard operating protocols. 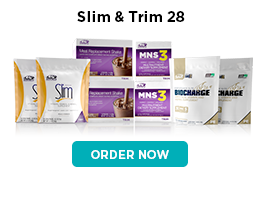 AdvoCare bases its formulations on credible scientific and medical principles and research. 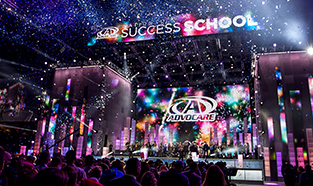 AdvoCare utilizes established scientific knowledge as the foundation for its formulas while incorporating current research results from scholarly studies conducted around the world. AdvoCare does not use fad ingredients. Each formula is designed to be safe when used as directed and effective for each particular application. What is the absorption rate of AdvoCare® supplements? The absorption rate of various nutrients is dependent upon a number of factors, including: individual metabolism; whether the nutrients are taken with food or on an empty stomach; types of foods ingested; supplement disintegration time; amount of physical activity; medical conditions present; medications taken; time of day the nutrients are consumed; form of the nutrient-how many steps are required for it to be broken down to the form that can be used by the body before absorption can occur; or physical form of the product (tablet, capsule, solution, suspension). Where can I find ingredients or supplement facts? Ingredients and supplement facts can be found on each individual product page. To find AdvoCare® products containing a particular ingredient, enter the ingredient you wish to find into the search engine found on the top right of the menu. Do any AdvoCare® products interfere with medications? Absorption of pharmaceutical drugs, including but not limited to, high potency, low dose drugs such as oral contraceptives, steroidal hormones (hormone replacement therapy), thyroid medications and anticoagulants, may be influenced by certain dietary ingredients such as fiber and tea. This information is not intended as a substitute for the advice of a physician. †This information is not meant to replace guidance from your personal physician. What do you recommend when I have used your products correctly and still have not lost weight? Make sure products are being taken correctly according to the directions found on the label. Drink enough water - Body weight (lbs.) divided by 2 equals the ounces of water you should consume per day. Do not skip meals. Waiting too long before eating may cause metabolic changes Instead, consume healthy snacks in between meals throughout the day such as healthy protein and healthy fat options. Ensure the intake of protein at breakfast is at least 20-25 grams (preferably low fat). AdvoCare® Meal Replacement Shakes provide 24 grams of protein with three grams of fat. Meal Replacement Shakes should be mixed with water instead of milk when your goal is weight management. Mixing with milk increases the number of calories. Also, the protein molecules in milk digest more slowly than the easy-to-digest protein contained in our Meal Replacement Shakes. Avoid eating last meal close to bedtime. Eat nine servings (4 ½ cups) of fruits and vegetables per day to increase fiber and aid satiety. Consume complex carbohydrates in the forms of fruits, vegetables, nuts, legumes and whole grains while limiting refined sugars and grains such as white bread, white rice and pasta made with refined flour. Eat lean cuts of meat and consume moderate quantities of olive oil, avocado and nuts. Use AdvoCare Fiber to add fiber and bulk to the diet, while supporting satiety. Maintain a daily physical activity program: at least 30 minutes of moderate-intensity aerobic activity, five times per week, along with two or more days of muscle-strengthening activities. Some medications can hinder weight loss. Consult your physician for more information on your personal medications and how they may affect the function of dietary supplements. Weight management goals are very individualized. Individuals further from their healthy weight may shed pounds more quickly than individuals who have fewer pounds to lose. Focus on losing inches, rather than losing pounds. Although the scale may not move, an increase in muscle development, along with fat loss, may lead to a decrease in your overall body fat percentage. Schedule regular visits to your healthcare professional for routine health screenings and physical exams. * This statement has not been evaluated by the Food & Drug Administration. These products are not intended to diagnose, treat, cure, or prevent any disease. What AdvoCare® products help support muscle building? To promote the gain of muscle tissue, daily protein intake (in grams) should be at least one-half your body weight (in pounds). Active individuals may require more quantities. Consult your healthcare professional with questions regarding how much protein you should consume. Meal Replacement Shakes contain 24 grams of protein, BodyLean25™ contains 25 grams per serving, POST and Post-Workout Recovery contain 12 grams of protein, Ready-To-Drink Protein contains 20 grams of protein, and Pro 20® provides 20 grams of hydrolyzed protein. AdvoBar® Meal contains 17 grams of protein, AdvoBar® A.M. Apple Cinnamon contains 15 grams of protein, and AdvoBar® Chocolate Chip Cookie Dough provides 20 grams of protein. Thus, a number of AdvoCare products are good sources of protein. † These suggestions are not intended as a substitute for the advice of a physician. What AdvoCare® products provide support when muscle cramps occur? What AdvoCare® products may help support immune system health? AdvoCare does not make medical claims regarding our products and does not treat medical conditions. Please consult your healthcare provider for determinations of product suitability. In many cases excellent nutrition, including the proper use of dietary supplements, in conjunction with a healthy diet and regular exercise can greatly enhance general health and wellness. †These suggestions are not intended as a substitute for the advice of a physician. What AdvoCare® products may help support gastrointestinal health? Products that may help maintain and improve the health of the gastrointestinal system include ProBiotic Restore™ Ultra, Probiotic FastMelt™, Digest-Ease™, ™ and Fiber Drink*. What AdvoCare® products are designed to help support the cardiovascular system? AdvoCare does not make medical claims regarding our products and does not treat medical conditions. Please consult your healthcare provider. In many cases excellent nutrition, including the proper use of dietary supplements, in conjunction with regular exercise can greatly enhance general health and wellness. * This statement has not been evaluated by the Food and Drug Administration. These products are not intended to diagnose, treat, cure, or prevent any disease. What AdvoCare® products help support the healthy management of stress or fatigue? AdvoCare does not make medical claims regarding our products and does not treat medical conditions. Please consult your healthcare provider for determinations of product suitability. In many cases excellent nutrition, including the proper use of dietary supplement, in conjunction with a healthy diet and regular exercise can greatly enhance general health and wellness. * This statement has not been evaluated by the Food and Drug Administration. These product are not intended to diagnose, treat, cure, or prevent any disease. What AdvoCare® products would be appropriate for someone in need of weight gain? Healthy weight gain can usually be accomplished by the appropriate combination of balanced diet and nutrition, appropriate dietary supplements and exercise. For balanced nutrition which supports muscle development and helps control body fat content, a carbohydrate: protein: fat ratio of 40:30:30 is an excellent target for daily calorie intake. One should avoid products containing high amount of simple sugars and saturated fats, and choose products with complex carbohydrates such as whole grain cereals and high fiber fruits and vegetables. Meal Replacement Shakes form an excellent base for providing balanced caloric intake. The Shakes can be used to replace a meal or as a healthy snack between meals. In order to increase total calories and nutritional content in the Shakes, milk can be used in place of water, and fruit can be blended with the Shakes to provide a delicious and highly nutritional drink. Using milk and adding fruit can increase the caloric content of the Shake from 220 calories to 400 to 500 calories. BodyLean25™ and Pro 20® are excellent sources of highly digestible protein and can be added to the Shakes. * This statement has not been evaluated by the Food and Drug Administration. These products are not intended to diagnose, treat, cure, or prevent any disease. † These suggestions are not intended as a substitute for the advice of a physician. Can I take AdvoCare® products if I am pregnant or nursing? If you are pregnant or nursing, please consult your physician to decide if an AdvoCare product regimen is appropriate for your needs. Click here for Product Age, Pregnancy and Nursing Indications. 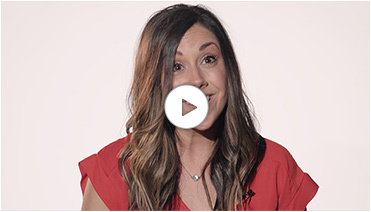 Are any AdvoCare® products appropriate for individuals who are gluten intolerant? Individuals who have celiac disease and/or are gluten-intolerant are advised to consult their healthcare professional regarding AdvoCare products that may be suitable for their use. AdvoCare® products are not produced at certified gluten-free manufacturing facilities. As a result it is not technically feasible to label AdvoCare products as gluten free. What AdvoCare® products may be taken by someone with a medical condition such as diabetes? AdvoCare does not make medical claims regarding dietary supplements and does not treat medical conditions. Please consult your healthcare provider for advice on using dietary supplements as a diabetic. AdvoCare® has formed a strategic alliance with Informed-Choice to certify the products that carry the Informed-Choice logo are certified as banned-substance free for substances banned in sport. Why do AdvoCare® products that contain glucosamine have a shellfish warning on the labels? AdvoCare places a warning on the label of Joint ProMotion™ because this product contains glucosamine, an ingredient derived from shellfish. Fibo-Trim™ carries the same label warning because it contains chitin, another ingredient derived from shellfish. If an individual has a concern about sensitivity to a product containing a food allergen, please consult your healthcare professional. This includes glucosamine or chitin as ingredients. Can an NCAA athlete or coach use AdvoCare products or become a Distributor? Because AdvoCare does not formulate any products that contain any substances specifically banned by the NCAA, AdvoCare products are available to both athletes and coaches involved in NCAA sports. It is very important, however, that both NCAA student-athletes and coaches completely understand the rules that govern them since some AdvoCare products have "non-permissible" ingredients (i.e. amino acids, HMB, creatine) that universities may not provide to student athletes. Athletes and coaches may become Distributors, but there are many NCAA rules that govern this type of business activity. To be sure, always check with your school's NCAA compliance officer and do not rely solely on the content provided herein. What is the difference between dietary substances and ingredients that are "banned", "permissible" and "non-permissible" according to NCAA? Banned, or prohibited - The athlete is NOT ALLOWED to use the substance. Using a supplement that contains a banned ingredient can cause a failed NCAA drug test. AdvoCare® products are not formulated with any ingredients with levels banned by NCAA. Non-Permissible - A university is NOT ALLOWED TO PROVIDE a non-permissible supplement to the athlete. However, the athlete can purchase and use any non-permissible supplement as long as it does not contain a banned substance. Examples of non-permissible AdvoCare® products include, but are not limited to: Post-Workout Recovery (creatine), Catalyst™ (amino acids), Muscle Strength™ (HMB). Permissible - A university is free to provide a permissible supplement to the athlete. Examples of permissible AdvoCare® products include, but are not limited to: AdvoBar® Protein Bar and OmegaPlex. What AdvoCare® products may be taken if someone has Inflammatory Bowel Disease (IBD)? AdvoCare does not make medical claims regarding dietary supplements and does not treat medical conditions. Please consult your healthcare provider for determinations of product suitability. Does AdvoCare® have products that may be appropriate for children? AdvoCare policy prohibits marketing or sales to individuals under the age of 18. We strongly recommend that decisions concerning any products that may be given to minors include parental and healthcare provider involvement. Product appropriateness may depend upon the individual's age, weight, maturity, sports involvement and other factors. Please consult the Product Age, Pregnancy and Nursing Indications for more information. What AdvoCare® products may be appropriate for teenaged athletes? AdvoCare policy prohibits marketing and sales to individuals under the age of 18. We strongly recommend that decisions concerning any products that may be given to minors include parental and healthcare provider involvement. Product appropriateness may depend upon the individual's age, weight, maturity, sports involvement and other factors. Please consult the Product Age, Pregnancy and Nursing Indications for more information. What sweeteners does AdvoCare® use in its products? There are approximately 30 sweeteners approved by the FDA for human consumption that are deemed to be safe and effective when used appropriately. Do "synthetic" vitamins contain the same physiological activity as "natural" vitamins? With few exceptions, our bodies cannot differentiate between a vitamin that has been isolated from a natural source and one synthesized in the laboratory. There is no difference for the vast majority of vitamins in terms of chemical structure and therefore, our bodies cannot differentiate the two sources. The primary exception is with respect to vitamin E where the natural form is called d-alpha-tocopherol and the synthetic version is dl-alpha-tocopherol. The d- and l- forms of vitamin E are like looking at your two hands and knowing that one hand cannot replace the other. Do AdvoCare® products contain animal by-products? AdvoCare products are not formulated to meet the unique requirements of those on focused diets such as kosher, allergen free, gluten free, vegetarian, vegan or halal. Ingredients to all products are listed on each product page. Please see the list below for products that contain animal-based ingredients. Can you tell me why the Joint ProMotion™ formula does not contain chondroitin? Chondroitin and glucosamine are natural substances found in and around the cells of joint cartilage. According to the National Institutes of Health, researchers believe their presence in joints may help in the repair and maintenance of cartilage. Chondroitin is one of several glycosaminoglycans (GAGs) in joints. GAGs are the lubricants in synovial fluid, the fluid in the joint capsule that helps protect cartilage. Glucosamine is important in the production of hyaluronic acid, the main GAG in cartilage and a major GAG in synovial fluid. Glucosamine is made into chondroitin as an intermediary step in the production of GAGs. Chondroitin sulfate is a large macromolecule that must be broken down into glucosamine in order to be absorbed. As a consequence, there is no added benefit to using chondroitin as compared to glucosamine. What is the source of the gelatin used in the capsules in AdvoCare® products? Gelatin is a protein product produced by partial hydrolysis of collagen derived from pork and bovine source material. Softgel capsules used for OmegaPlex® and AdvoCare Glow™ Skin and hard shell capsules are each made from both pork and beef. The beef raw material sources are pharmaceutical grade limed-bone gelatin obtained from a country where Bovine Spongiform Encephalitis (BSE) has not been found or is not expected to exist. The gelatin is processed with a method that meets or exceeds the 1999 European Commission standards. Does AdvoCare® use "organic" ingredients in its products? Organic products are those that have been produced without the use of conventional pesticides, synthetic fertilizers, bioengineering or radiation. For an ingredient or food to be certified organic, a government-approved agent must inspect the farm and all growing practices to ensure compliance with USDA organic standards. A product labeled as "organic" must contain at least 95% organic ingredients, while a product "made with organic ingredients" must contain at least 70% organic ingredients. As a consequence, products labeled as organic are not guaranteed to be 100% organic. With respect to the herbal ingredients we use in some AdvoCare products, standardized herbal extracts are used and these extracts are all tested for the presence of contaminants, including pesticides, herbicides and heavy metals. This is also true for all dairy-derived ingredients used in our products. Sucralose is a sweetener made from table sugar (sucrose) by chlorinating it in three positions on the molecule. This provides a substance which is approximately 600 times sweeter than sucrose and is very poorly absorbed. Therefore, the body does not metabolize it for energy, and only a small amount is needed to effectively sweeten a substance. Sucralose has the closest sweetness profile to sucrose, the “gold standard of sweeteners”. It also has exceedingly good solubility and stability properties, making it an excellent choice among non-nutritive sweeteners. Sucralose has over a twenty-year history of safe and effective use. * It carries no warning from the Food and Drug Administration (FDA) and is approved by the FDA as well as the World Health Organization Expert Committee on Food Additives. Additionally, it is approved by food and health agencies of over 40 countries. It can be used by pregnant and nursing women since very little is absorbed. Thousands of food and beverage products around the world contain sucralose. AdvoCare® is not aware of any peer-reviewed human research studies published in reputable, well-recognized scientific journals demonstrating toxic or adverse effects. The scientific consensus of over 200 research articles affirms the safety of sucralose. The research studies which have been conducted to investigate the safety of sucralose have demonstrated no effects on organs, growth weight, blood chemistry or fertility, and sucralose is not carcinogenic, teratogenic or mutagenic. Sucralose does not produce diarrhea, affect the immune system, alter hormonal systems, cause headaches, produce fatigue or skin conditions. In well-controlled studies, no adverse effects have been found. The small amount of chlorine present on the sucrose molecule is a tiny fraction of the amount of chlorine already present in our stomachs in the form of hydrochloric acid which aids digestion. Furthermore, the amount of chlorine present is an even smaller fraction of the amount consumed daily in the form of table salt (sodium chloride). There are a number of prominent websites that contain extensive amounts of misinformation regarding sucralose and other substances. The information provided is not based on credible, peer-reviewed scientific studies. All of the information on these websites is anecdotal and has never been published in any reputable journal, does not involve any reputable research studies, and has never been demonstrated in research studies. Furthermore, the websites reference each other in an effort to create credibility. AdvoCare does not use products that are not demonstrated to be safe and well studied. AdvoCare does not use any ingredient deemed to be unsafe or harmful based on sound scientific evidence. *For more information on nonnutritive sweeteners, visit the links below. Why do amounts of certain vitamins in some AdvoCare® products exceed 100% of RDIs? Reference Daily Intakes (RDIs) are the values for vitamins and minerals established by the Food and Drug Administration to ensure that adequate nutritional needs are met for most healthy individuals in all age groups. These values have been used for many years and are widely recognized. RDIs are based on the Recommended Daily Allowances (RDAs) set by the Food and Nutrition Board, National Research Council, Institute of Medicine, National Academy of Sciences. Many health experts, including all AdvoCare® Scientific & Medical Advisory Board members, believe that in many cases optimal nutrition provides benefits not available with merely adequate nutrition. For some nutrients, optimal nutrition is achieved at a level above 100% of the RDI. The Food and Nutrition Board (FNB) also sets tolerable upper intake levels (ULs). According to the FNB, ULs are amounts that are "likely to pose no risk of adverse health effects in almost all individuals in the general population." All AdvoCare® products are formulated with safe nutrient levels well below ULs. Amounts of some nutrients in excess of the amount required to meet the body's immediate needs, are stored in the body. For this reason, careful attention has been given to the amounts of these nutrients in each AdvoCare® nutritional product. For example, the UL for vitamin E is 1200 IU (international units) per day. All AdvoCare MNS® supplements provide 90 IU per serving. Fibo-Trim™ supplement provide 15 IU per serving. Consuming a serving of both products in a day results in a combined total of 105 IU per day. This total is well above the RDI of 30 IU per day for optimal nutrition, and is well below the UL of 1200 IU per day. Other nutrients including water soluble vitamins are safe to consume at levels over 100% of the RDI. Instead of being stored in the body, excess amounts of these nutrients are readily cleared from the body. †This information is not intended as a substitute for the advice of a physician. How are the herbal ingredients used in AdvoCare® products harvested? How are the supplements made? Harvesting methods for botanical materials vary depending on the ingredient. Methods may include hand picking in terraced fields or large scale mechanical collection. More important is the fact that standardized herbal extracts are used, ensuring appropriate potency, quality and reproducibility. All products are made exclusively for AdvoCare in manufacturing laboratories according to current Good Manufacturing Practice (cGMP) guidelines. All product formulas are developed by the AdvoCare Research and Development Department based on sound science and the most current research with input and review by the Scientific & Medical Advisory Board. Are there studies or suggestions for reading material/websites to support how AdvoCare® products work or how a particular ingredient works? Where should I go for reliable health information?